Do you find yourself having difficulty deciding what to pack in your child’s lunch for school, preschool or daycare? Deciding what to feed your child is a very important decision and of course, you want their lunch to be healthy too. 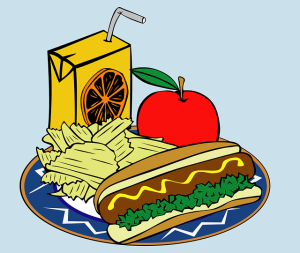 It can be hard to pack a healthy lunch for your child considering most food products marketed for children are often high in sugar or sodium or contain food colors and dyes that might not be good for them. You also want to be careful not to pack foods so healthy he or she won’t eat them and of course need to be aware of peanut allergy or any other dietary restrictions. It’s natural for you as a parent to fear your child isn’t eating enough or will be hungry in school and it will be your fault for not packing enough food but the reality is a child doesn’t need that much food. You should pack a 8-12 oz drink, a protein, vegetables, fruits and one grain or wheat product such as crackers or chips or cookies. Do not pack two sandwiches and three snacks or too much dessert. We recommend not to pack soda in a child’s lunch. Soda should be reserved for special occasions or as a treat from time to time instead of the standard beverage during a meal. Soda is extremely high in sugar and can lead to several health problems, plus the caffeine and sugar can cause problems later in the day as your child could become disruptive or bored from being unable to expel his or her energy in the classroom. There should be more protein in your child’s lunch than just the piece of meat or peanut butter on his or her sandwich. You can incorporate additional protein into a kid’s meal with yogurt or a granola bar. These are healthy options for snacks that don’t contain too much sugar either. If all of the food you pack is brown or bland your child will not want to eat it and then will be hungry at school which could lead to issues in the classroom or general unhappiness throughout the rest of the day, not to mention the need for food for his or her growth. You can create a much more fun meal for your child if you add color in the form of fruits and vegetables and flavored yogurt too. For the healthiest lunch, try to avoid as many prepackaged foods as possible. Small bags of potato chips or cookies are convenient but often contain many ingredients you might not want your child to eat for lunch. If you can pack them something you baked at home and other homemade options, the lunch will be much healthier. These tips for packing a healthy lunch for your child should make tomorrow morning a little easier when it comes time to decide what to feed your child while he or she is at school or daycare.